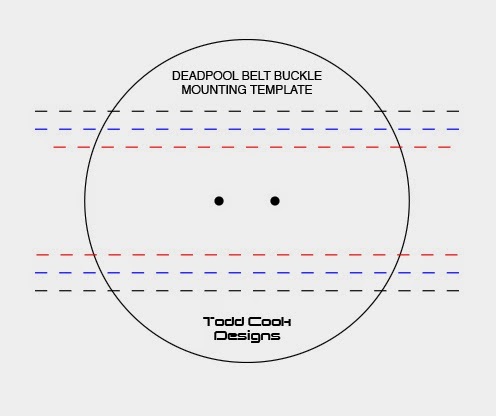 For those of you that have one of my Deadpool belt buckles and would like to know how to attach it to your belt, this post is for you. 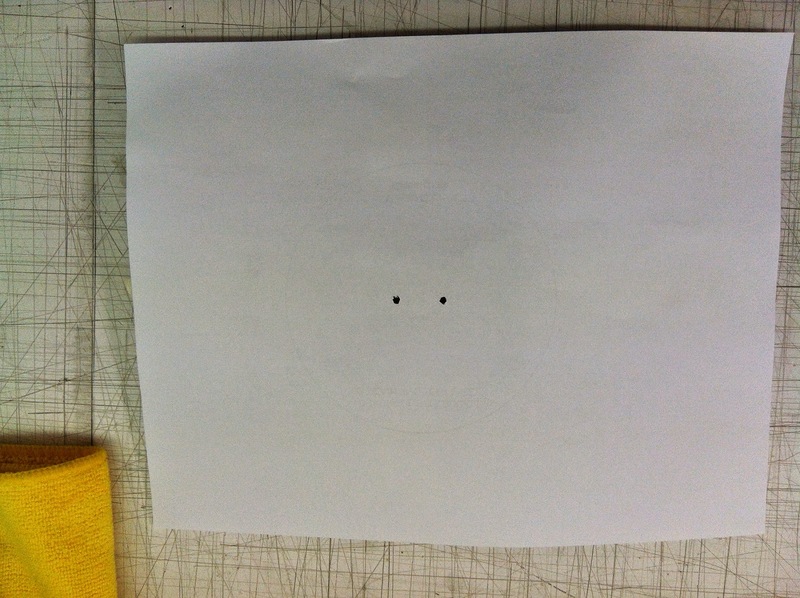 Start off by printing the template at full size. 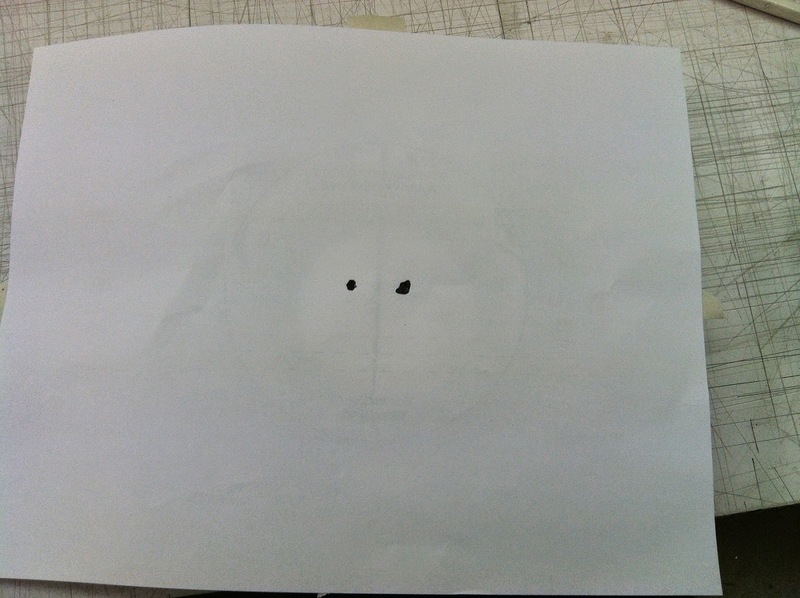 If printed at full size the circle should be 4.5 inches. Once printed out lay your belt on top of the template lining it up between the colored dotted lines that match your belt the best. For this I removed the buckle that came on the belt to make it easier to install the new belt buckle, but is not necessary to remove it. 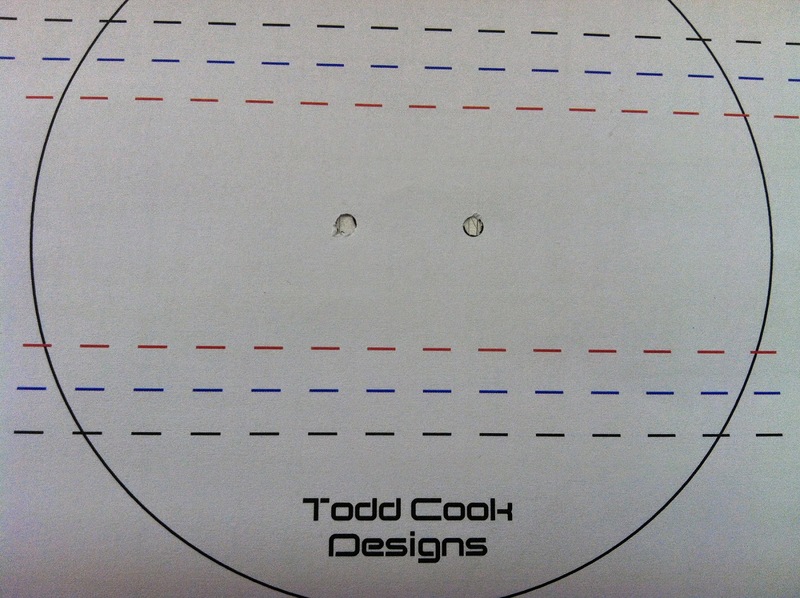 Use your x-acto knife to cut out the 2 little black holes on the template. 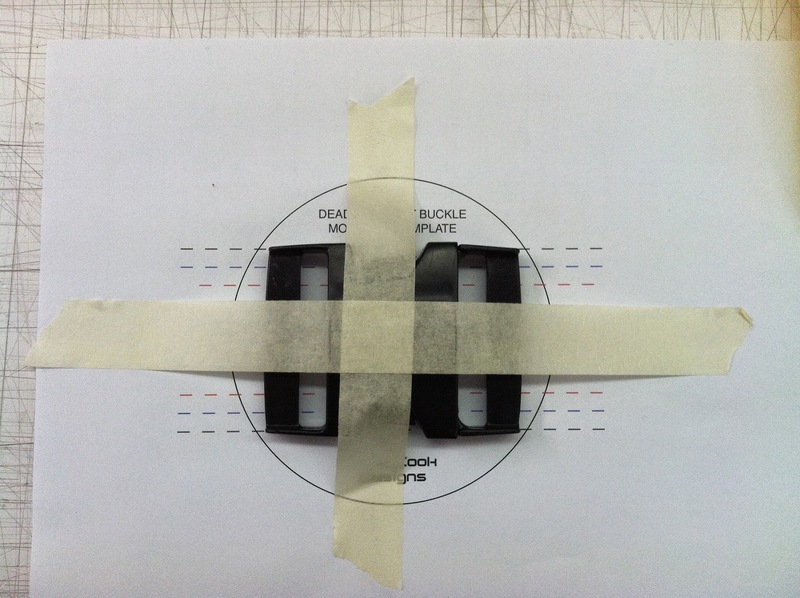 Now place the buckle on top of the template, lined up with the correct corresponding lines. 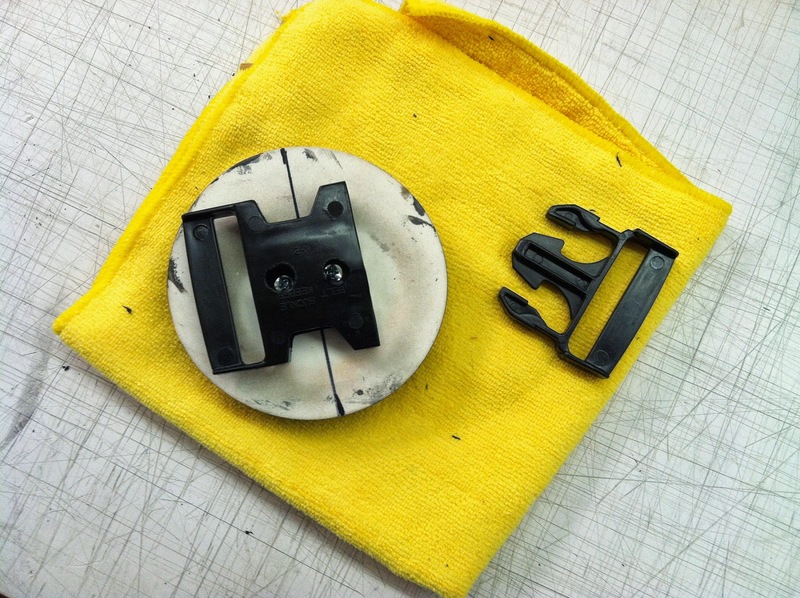 Use your making tape to tape the buckle down to the template so you can flip over the whole thing without it moving. 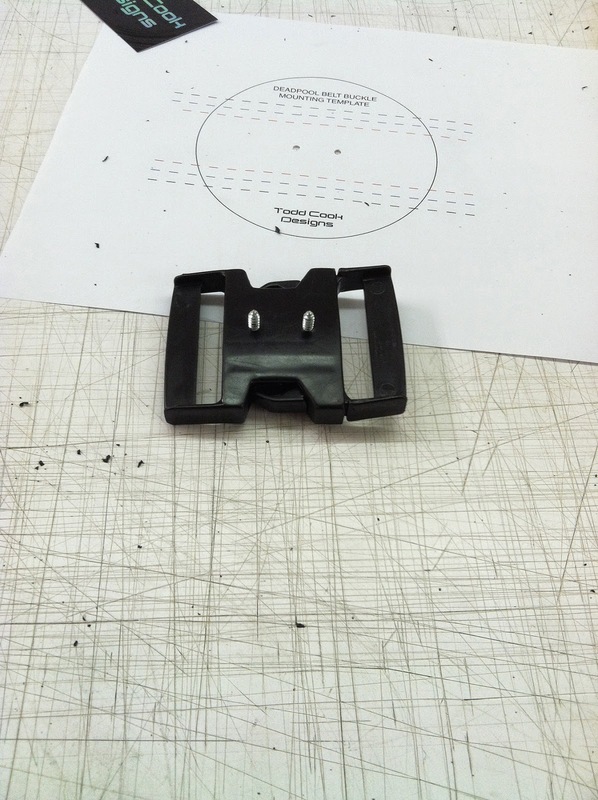 With your white pencil mark the holes on the back of the buckle. 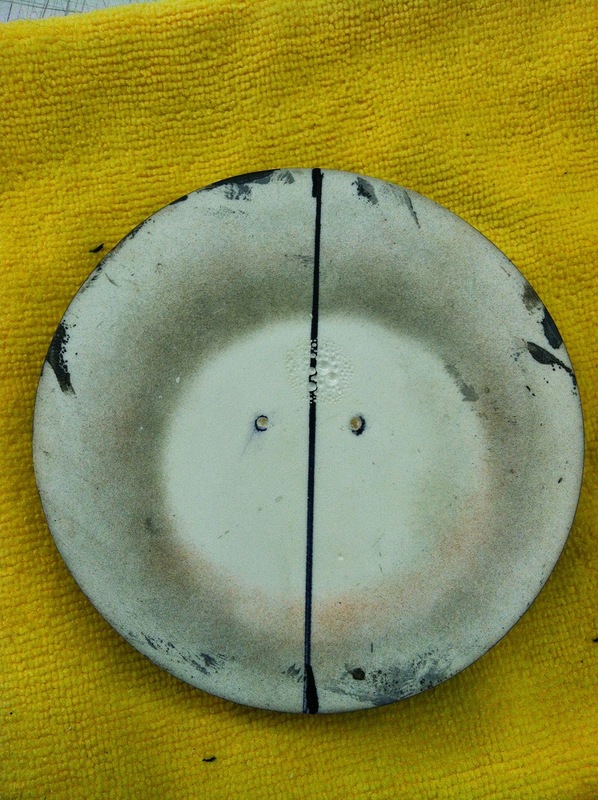 Flip it back over and carefully remove the tape. Try not to rip the template as you will need it again in a moment. Now you should be able to see 2 little white dots on the back of the buckle. 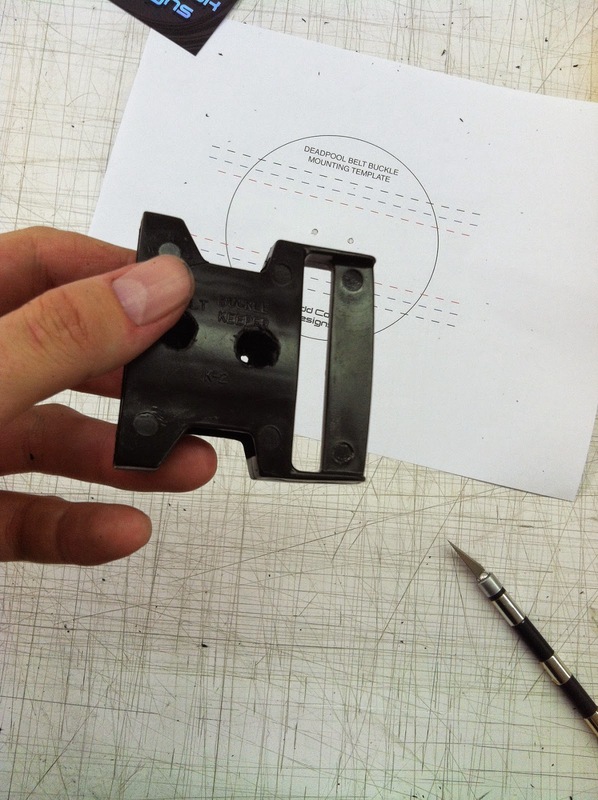 Use your drill and the 3/32" bit and drill a hole all the way through the entire buckle. 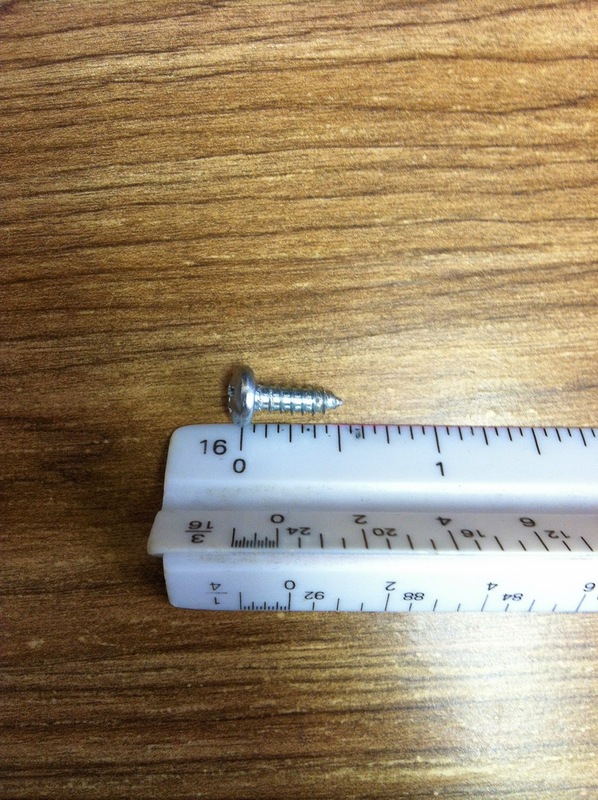 You can test fit your screws to make sure you can easily insert them. 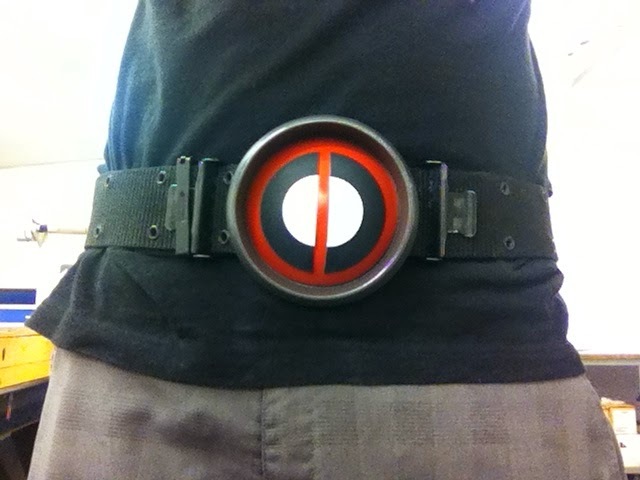 The next step is to mark the hole on the Deadpool belt buckle. 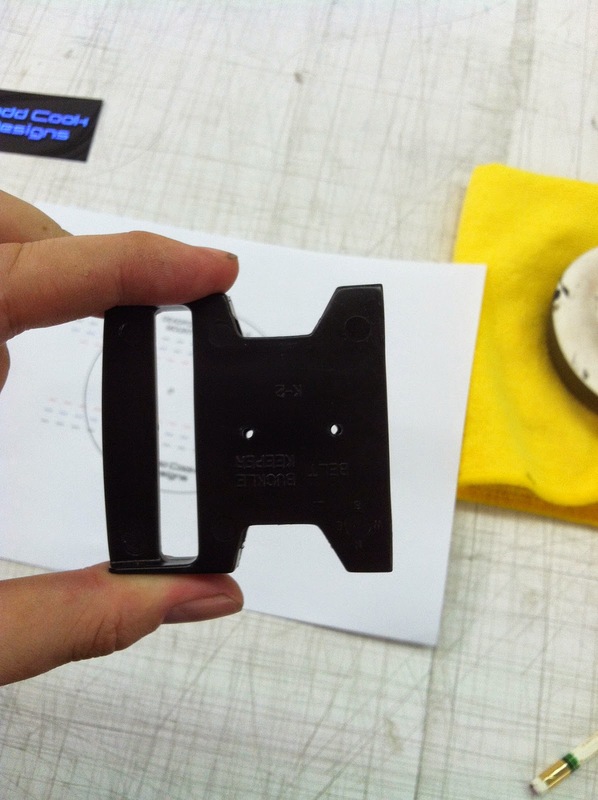 It will be done the same way as the other buckle. 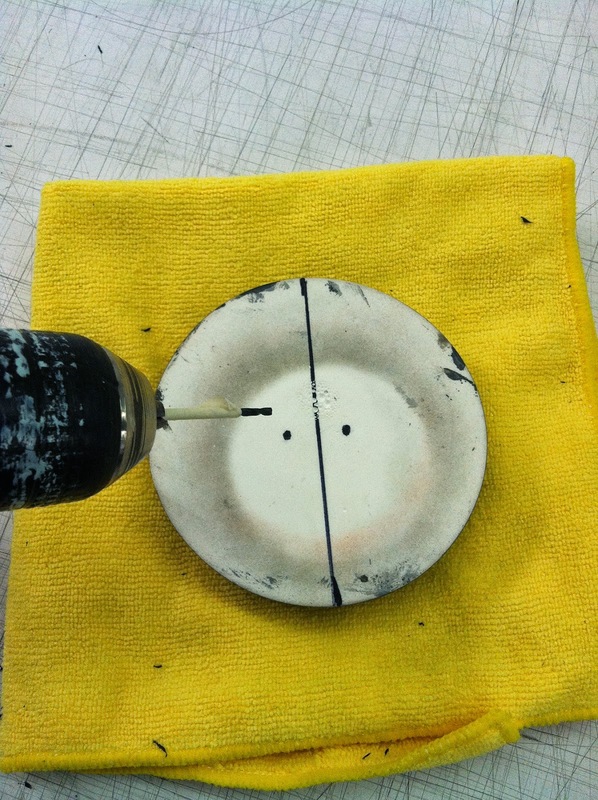 Lay it on your template, tape it down and then flip it over on to the soft cloth and mark the holes with the black sharpie. 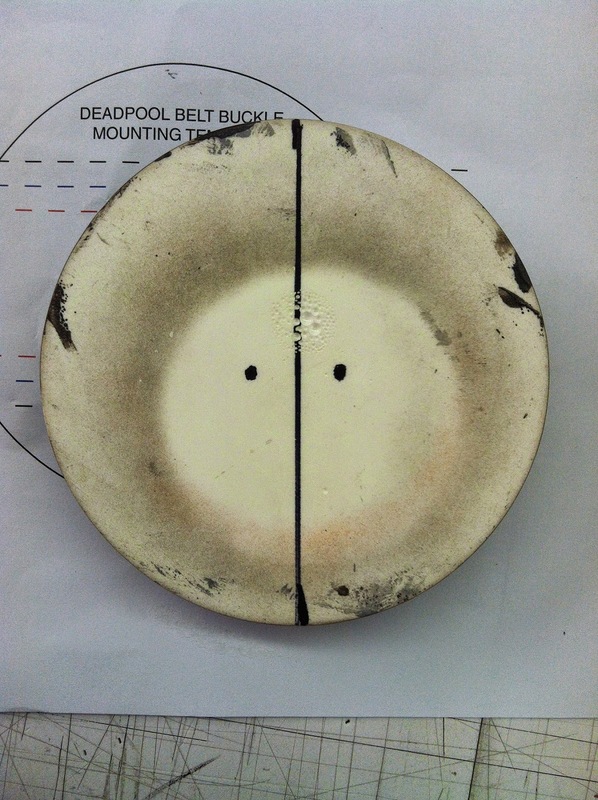 Not shown: Align the original buckle on to the Deadpool buckle and make sure the marks line up with the holes that were previously drilled. 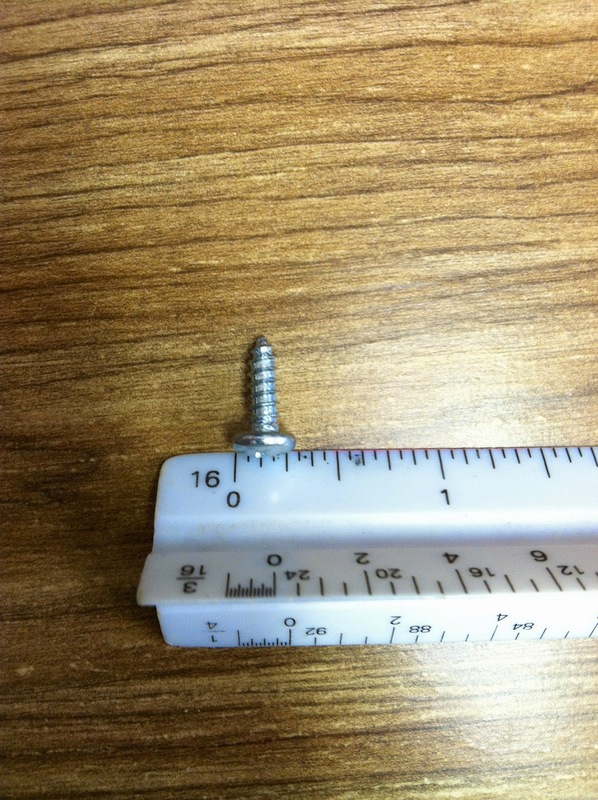 Here are the measurements of the screws I used. These are the specs of the screws recommended. Use your masking tape and tape off your 3/32" drill bit to the length of your screw to ensure you do not drill through the new belt buckle. 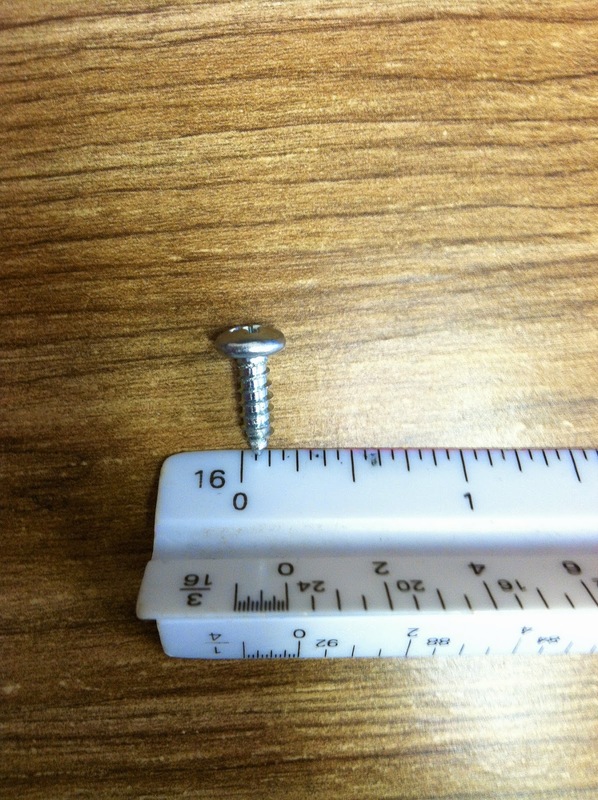 **DO NOT USE SCREWS LONGER THAN A 1/2 INCH** Also make sure your drill bit is slightly smaller than your screw in diameter. 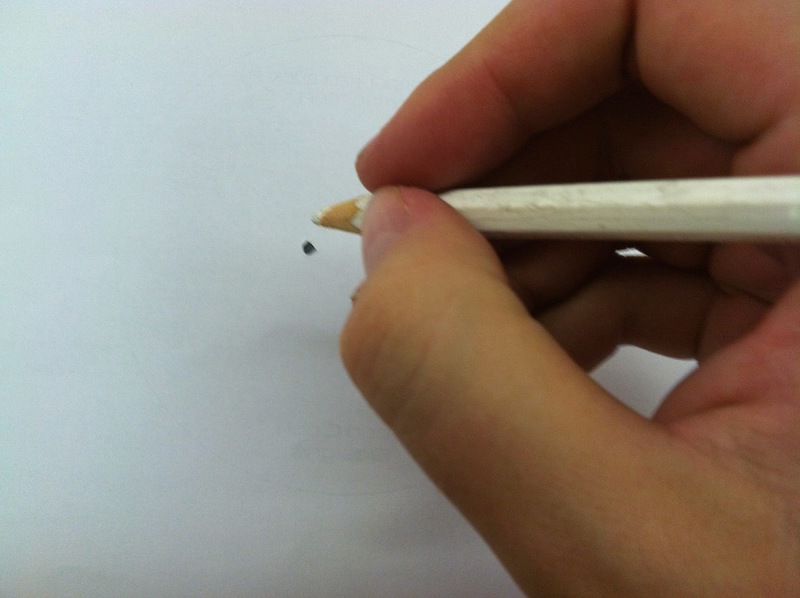 Tip: If you are worried it might be to big of a bit, test drill and screw the screw into a piece of wood before you drill into the final piece. Now on to the scary part. 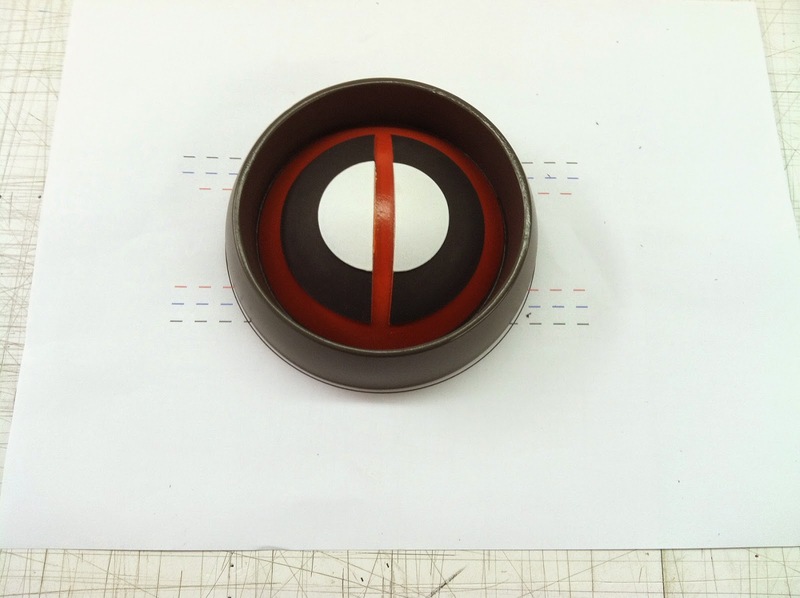 Carefully place the Deadpool buckle on the soft cloth and slowly drill the holes into the back of the buckle, only drilling up to your taped off mark. Be carefully not to scratch the painted buckle. 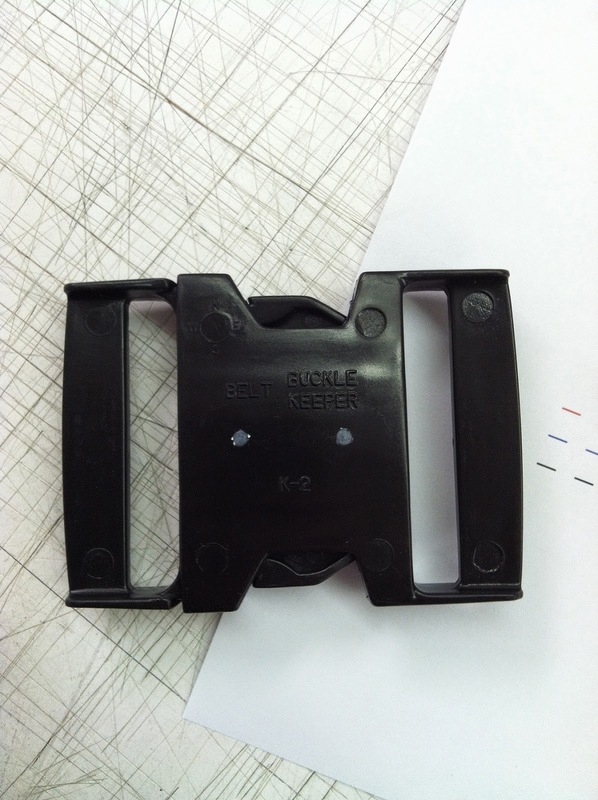 Now all you have to do is carefully screw the 2 buckles together, and reassemble the belt. Hey could u plz make a deadpool mask or costume 4 me? I really want 1 for Halloween since its my birthday. But the ones online r so cheesey and lame and the ones that do look good r way too expensive so if u could make me 1 then can u comment me back? Thankyou!